I chose ODID for its reputation and for its emphasis on combining academic rigor with policy application. 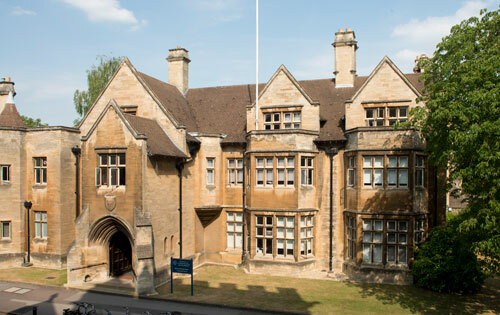 I was also attracted by Oxford’s open and internationally diverse environment. Once there, I greatly appreciated the opportunity to receive a broad overview of relevant scholarship, not to mention the great peers, with whom many conversations over coffee or a pint have left lasting impressions. Some I have ended up working with later (for example, I am currently collaborating with a former classmate at DFID). I am currently a PhD candidate and Teaching Fellow and Research Fellow at Harvard University’s Economics Department, carrying out academic research on issues related to environmental economics, human capital and labor economics, growth and development, and public finance. I also have advised the Office of the Chief Economist at the World Bank on issues related to the intersection of climate change and development/poverty alleviation, specifically with regard to the economics of extreme heat stress and the labor productivity impacts of climate change. For instance, I contributed background analysis for a recent WB report on climate and poverty. I am also Director of Sense & Sustainability, a network of sustainability professionals and academics working to connect cutting-edge research to real-world application. I greatly appreciated the opportunity to receive a broad overview of relevant scholarship, not to mention the great peers, with whom many conversations over coffee or a pint have left lasting impressions.